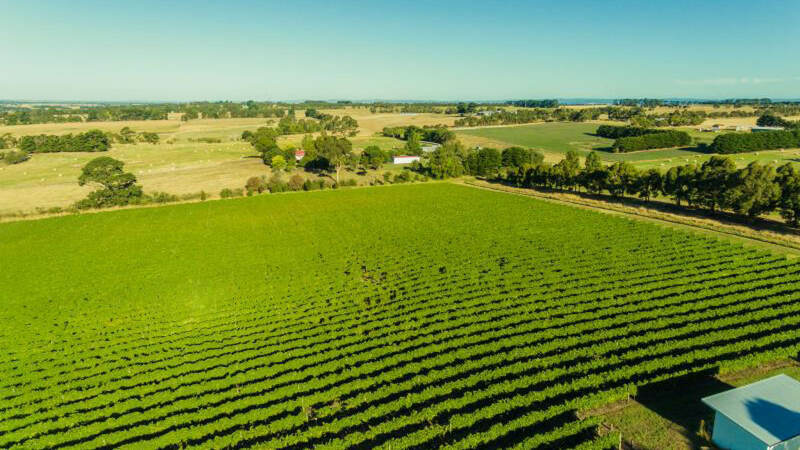 The vineyard is located in the heart of the Western District Farming country, approximately 150 kilometers south-west of Melbourne. Think dairy, beef, sheep, wheat, hay and forestry production. Irrewarra is surrounded by inland lakes and volcanic plains. It is a diverse and beautiful landscape that relies on a high amount of natural rainfall throughout the year. The Western plains are quite exposed to the elements which contributes to the vineyard sites mystic. It is a site that shows great fruit expression with a deceptively long and mineral palate.